Customers are calling for a boycott of Nordstrom following the retailer’s refusal to ditch Ivanka trump’s brand. A new social video has been viral in which there is a group of women showing great anger and demanding their accounts to be canceled due to the brand’s refusal to support Ivanka Trump fashion brand. Customers are showing intend to shop Dillard’s instead of Nordstrom. The Daily Mail Reported“On Wednesday, Laurie Ray posted her Facebook video along with seven other women. Some were wearing “Haters gonna Hate” Trump shirts”. These ladies were walking into the Nordstrom with cash and wanted to cancel their accounts with the retailer located at Chandler, Arizona. One women was clearly saying in the video “I have been shopping from Nordstrom since, 30 years, and because of your refusal to Ivanka’s fashion brand me, my husband, our nine children and eight grandchildren will no longer shop at this brand. The women say, instead of Nordstrom we will continue shopping at Dillard’s. 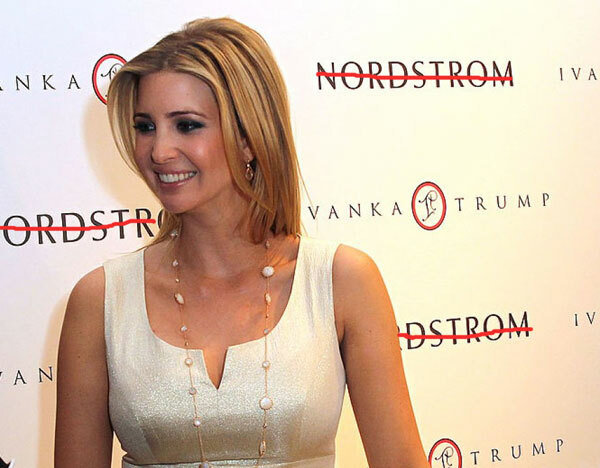 Dillard’s unlike Nordstrom continues to sell Ivanka Trump brand. Laurie Ray posted on Facebook that ditching Nordstrom was a tough decision since, her daughter takes the store as her favorite brand for shoes but she has made this decision to support Ivanka Trump. The big women group walked into Nordstrom to cancel their accounts and open up their account to Dillard’s to buy Ivanka’s brand. The Video quickly got viral with 422000 views as of Thursday afternoon. Laurie Ray on Thursday, clarified that she and her companions had not intended to receive attention or to make Nordstrom Out of business. The post continued and the lady was explaining that our husbands love and support us, some of us wearing HATERS GONNA HATE shirts. In addition, Earlier in February, Nordstrom Cut ties with Ivanka Trump mentioning Disappointing sales. After some months, the move has come up from online efforts of anti-Trump “Grab your Wallet Movement” which aggravate shoppers to boycott retailers who are no longer doing business with Trump family.